Former president Robert Mugabe's factor has destabilised Zanu-PF Mashonaland West province after MDC Alliance president Nelson Chamisa recorded a significant number of votes from the July 30 harmonised elections. Previously, Mashonaland West was a stronghold for the ruling party, however, the opposition managed to get 217 732 votes while president-elect Emmerson Mnangagwa garnered 312 958. In 2013 the late MDC founder Morgan Tsvangirai got 100 616 votes. Mashonaland Central, however, remains one of Zanu-PF's strongholds after it registered the highest number of people who voted for Mnangagwa. This is despite the fact that the ruling party expelled many senior members from the province. 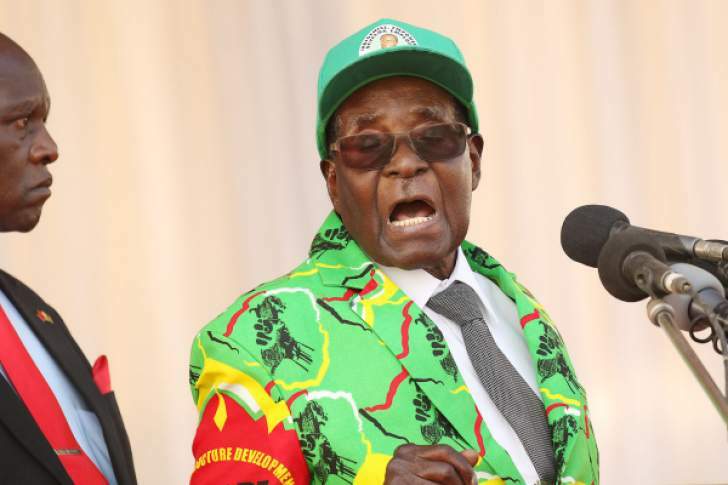 Zanu-PF parted ways with the likes of former vice president Joice Mujuru, former ruling party political commissar Saviour Kasukuwere and his brother Dickson Mafios who was the provincial chairperson. More than 366 000 voted for Mnangagwa in Mashonaland Central followed by Mashonaland East which recorded 334 617 votes for the president-elect. Recently, Zimbabwe National Liberation War Veterans Association secretary-general Victor Matemadanda hailed the province saying it worked hard to record such a victory. "There are some provinces which did extremely well like Mashonaland Central; they are working as a united team. I want to thank (Mashonaland central war veterans leader Sam Parirenyatwa, he did a good job," Matemadanda said. Parirenyatwa said they are getting such numbers because they are united as a province. "This is because we work as a team." Political analysts canvassed by the Daily News said people of Mashonaland Central vote for Zanu-PF out of fear. "You must be aware that Mashonaland Central was one of the hottest areas during the liberation war so people from that province vote for Zanu-PF because of fear. Zanu-PF has strong footprints in the province," political analyst Eldred Masunungure said. Another analyst Maxwell Saungweme said the numbers are high because Mujuru did not have strong campaign strategies. "The outcomes are a result of the confluence of advantages of incumbency, rigging, vote buying, fear and effectiveness of Zanu-PF dandemutande strategy. Mujuru did not have a cogent and efficacious campaign strategy apart from rallies." Also in other provinces the former Zanu-PF faction the Genaration 40 (G40) failed to make an impact after people voted for Mnangagwa. Like in Masvingo, Mnangagwa polled 319 073 but the province also expelled a number of Zanu-PF members who include Jeppy Jaboon and Dzikamai Mavhaire.